It’s Diplomats for life mothaf*cka and I stand on that! 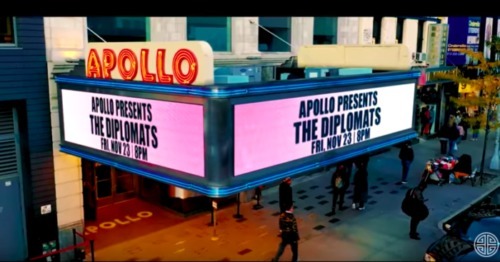 Dipset is back with the secret sauce. Reuniting on video, The Diplomats unveil the visuals for their comeback single, “Sauce Boyz.” At the core of the group, all four members make appearances in the video, as they reminisce on their come-up early in the game while looking ahead at new beginnings. Jim Jones, Juelz Santana, Freaky Zekey and Cam’ron all come through on the classic Harlem record – provided by The Heatmakerz. “Sauce Boyz” is said to be just the warm-up before the unveiling of the first official single. Stay tuned in!